This is a lovely slice, perfect for lunchboxes or afternoon tea. 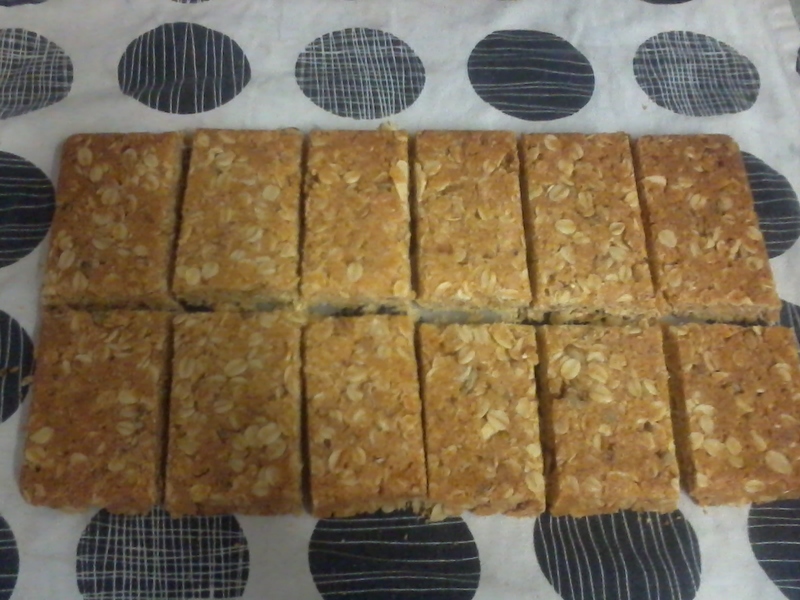 It reminds me of Anzac biscuits. A friend gave me a couple of 1 kg bags of raw muesli which her family did not like. I picked out the dried fruit to use in a fruit cake and put the oats in a separate container to use in porridge and used some in this slice so mine also has some pepitas and sunflower seeds in with the rolled oats. You can add these for extra goodness if you like, or just use plain rolled oats. Place all the dry ingredients into a mixing bowl. Melt the butter and add it to the dry ingredients. Mix well until combined, then press into a silicone or greased slice tray and bake at 160 degrees for 15 minutes. 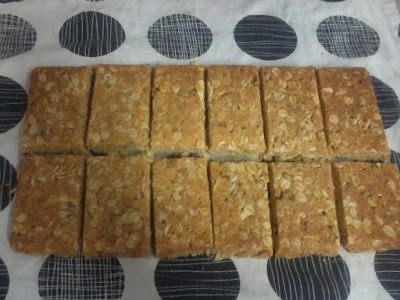 Cool then turn out onto a chopping board and cut into 12 bars.